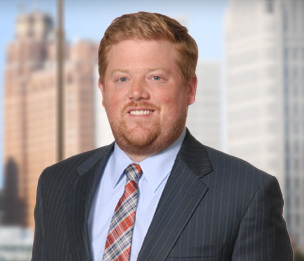 Cale A. Johnson is a member in the litigation practice in Dykema's Bloomfield Hills, Michigan office. Mr. Johnson focuses on all aspects of antitrust and competition law. Mr. Johnson has extensive experience representing corporations in government investigations, including civil merger defense and criminal investigations into allegations of price fixing, bid rigging, and market allocation. Mr. Johnson has represented clients in matters involving governmental antitrust and regulatory authorities around the world, including investigations by global authorities into potential anti-competitive practices in the automotive industry. Mr. Johnson has also represented a number of U.S. and international Fortune 500 companies in high-profile civil litigation, including class action defense. Mr. Johnson has developed antitrust compliance programs and presentations to train employees to avoid exposing their employers to antitrust problems. He has also provided clients with valuable antitrust counseling in many other contexts, including potential health care mergers and non-compete litigation. In addition to corporate clients, Mr. Johnson has also represented a number of executives facing individual criminal liability as a result of government investigations. Through his work with antitrust and competition matters, Mr. Johnson has also developed skills in discovery management and electronic discovery. His practice centers on developing effective and pragmatic solutions to complex discovery problems, designed to save clients in one of the most expensive areas of litigation. Mr. Johnson is very active in leadership in bar associations at the state and national level. He currently serves as Chair of the State Bar of Michigan, Antitrust, Franchising & Trade Regulation Section. He served as the Young Lawyer Representative of the American Bar Association, Section of Antitrust Law, Membership & Diversity Committee. Mr. Johnson has also assisted in a variety of projects on behalf of the Cartel & Criminal Practice Committee thereof. Mr. Johnson received a J.D. from the University of Michigan in 2009, and a B.A. from the University of Michigan in 2006. Prior to joining Dykema, Mr. Johnson was an associate at two AmLaw 100 firms in New York City. He also served as a Special Assistant District Attorney with the Kings County (Brooklyn), New York District Attorney's office where he handled a variety of criminal prosecutions. "Innovation Ventures Paves the Way for Stronger Commercial Noncompete Agreements"